OPEN SUNDAY 2-4 March 31 More Than a Place to Live ! A New World of Privacy and Convenience ! Live Where You Have All the City Conveniences. Easy Walk to City Library, 30 acres Lafayette Sq. Park, Grocery, Restaurants, Public Transportation. 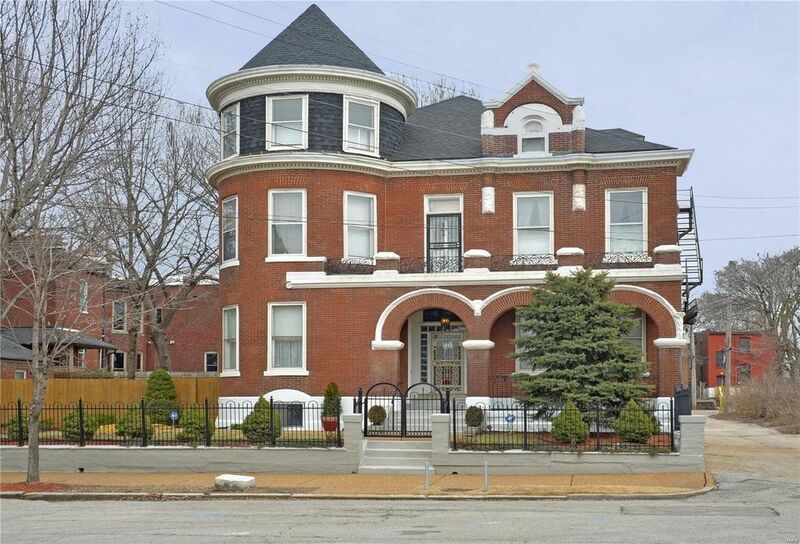 Minutes to major highways, downtown St Louis.Come See This Stately Mini-Mansion in Victorian Historic District of Lafayette Square. Spacious Home, Previously a Bed & Breakfast Property. The 2 Rooms behind the 2 pocket doors can be your business office, or current dining room can be a main level bedrm. 5 yrs roof, Zoned heating, 11 ft high ceilings, fully fenced , kitchenette & full bath in walk-out basement, Possible Xtra Bedrooms. Full Baths on all 4 floors, plenty of storage, balcony, Spacious Hallways, You'll love 2 Kitchens-one in main floor with granite counters and one in 2nd floor with center island, Butlers pantry with floor to ceiling built-in china cabinet, . City Inspection Done, potential commercial space on main level. Directions: HWY 44 or Hwy 64 to Jefferson to East on Lafayette to South (Right) on Missouri Ave. in the historic Victorian District of St Louis. Home is few steps from Historic Lafayette Sq. Park, Jefferson Ave. Home is last house on dead end ave, across church.